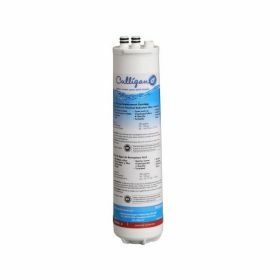 The replacement filter cartridge Culligan RC-EZ-3 fits on the under-sink water filter Culligan US-EZ-3 and has a capacity of approximately 1800 liters thus lasting for about 5 to 6 months, depending on your water quality. 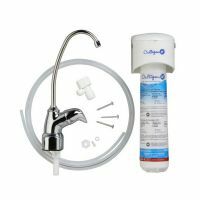 The filter reduces sediment, cysts, lindane, atrazine, lead, turbidity, chlorine taste and odor. The system is tested and certified by NSF International against NSF/ANSI Standard 42 & 53 for the reduction of chlorine, taste and odor. 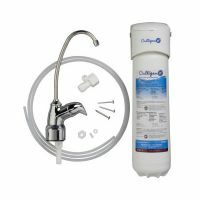 The Culligan US-EZ-3 under-sink water filter is a great solution for basic filtration under the sink. The filter has a capacity of about 500 gallons (1800 liters) and last for 5 to 6 months, depending on the water quality at home. It is tested by the NSF/ANSI Standard 42 & 53 to remove residual chlorine, cysts, turbidity, lead, atrazine, lindane, sediments, bad taste and odor. 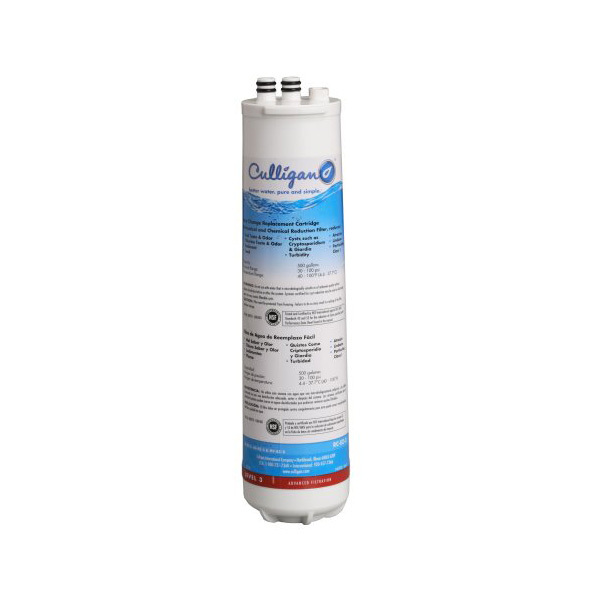 The Culligan US-EZ-4 under-sink water filter is a great solution for advanced filtration under the sink. The filter has a capacity of about 500 gallons (1800 liters) and last for 5 to 6 months, depending on the water quality at home. 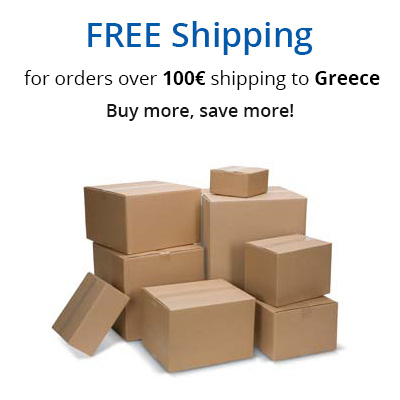 It is tested by the NSF/ANSI Standard 42 & 53 to remove residual chlorine, cysts, mercury, VOCs, MTBEs, turbidity, lead, atrazine, lindane, sediments, bad taste and odor. The Culligan US-EZ-1 under-sink water filter is a great solution for basic filtration under the sink. The filter has a capacity of about 3000 gallons (11000 liters) and last for 10 to 12 months, depending on the water quality at home. It is tested by the NSF/ANSI Standard 42 to remove residual chlorine, sediments, bad taste and odor.